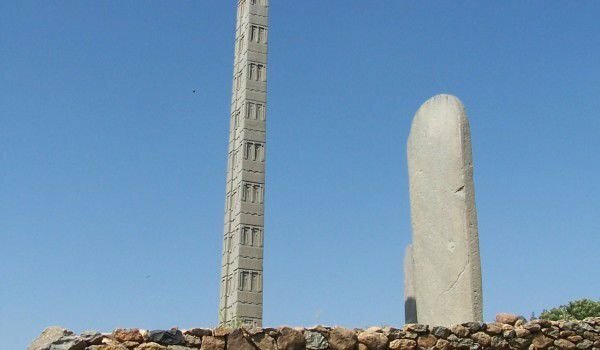 The city of Aksum is considered the most sacred place in the African country of Ethiopia because, it is here in the 4th century that Christianity was adopted as the official religion in the country. This sanctuary of the Ethiopian Orthodox Church is one of the joys for archaeologists, because everywhere there are remains of ancient tombs, palaces and churches. 98 percent of the ancient city was able to be excavated and has been declared a World Heritage by UNESCO. The kingdom of Aksum covers the territory in the northeastern part of Ethiopia in what today the Golden Horn stands at 2195 m of altitude and is located in the African valley of the Blue Nile. This beautiful kingdom can be reached easily by the Adulis port on the coast of the Red Sea. It existed from the 1st century BC to about the 10th century when it fell apart and the territories were taken over by Arabs. Aksum adopted Christianity between 325 and 328, during the reign of King Adhan. After conversion, the kingdom became the first country in the world that depicts the Holy Cross for their money. In the first Golden Age, the kingdom had been extended on to parts of Ethiopia , Eritrea, northern Sudan, southern Egypt, western parts of Yemen and Saudi Arabia, Djibouti and western Somalia. By order of the King Adhan he built most of the architectural monuments. According to the Ethiopian Orthodox Church, Aksum is one of the symbols of religion having, the original Ark of the Covenant with the Ten Commandments. The Ethiopian Emperor Haile, built there the largest church in Africa, the so called New church dedicated to Our Lady. It might be argued for its architectural merits, but its acoustics is just magnificent. The New Church protects the icon which depicts Menelik, who stole from his father King Solomon, the Ark of the Covenant. That Ark, which is kept has the stone tablets with the Ten Commandments that Moses received from God. The possession of this sanctuary is to allow the Ethiopians to consider themselves a heritage. From the time of Menelik Ark so that’s what the Ethiopians call it is kept in Aksum. Especially for him was built the church of Basil "Our Lady Zion" (Old Church). About 40 years ago the Ark of the Covenant was transferred to a small chapel in the neighborhood where it was kept as the apple of the eye. Near Aksum are the remains of the tomb of King Caleb.